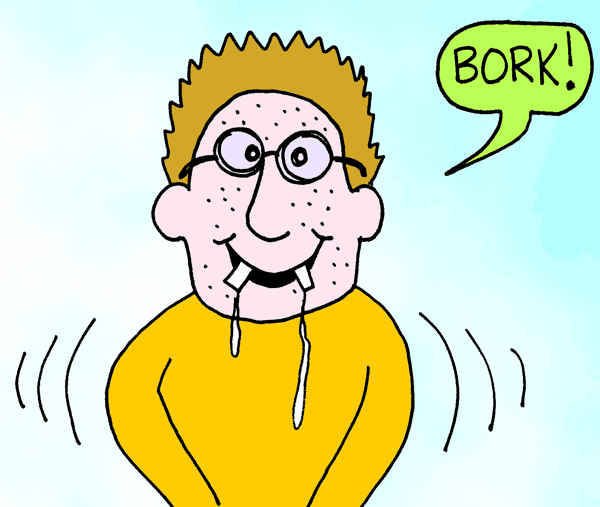 Keenspot • View topic - BORK! By cracky, it's been a long, long while! I'm...really missing something here. And I'm deeply disturbed by this. Almost to the depths at which I'm usually disturbed. ...And this is a typical BORKing from the time that followed. I should come up with some random word you'll turn into a comic. Oh my... No comment, dear. No Comment??? If you had no comment, why did you post? I'll tell you in person, rather than embarrass you in front of everybody. Everybody being Heatherface, of course. Scott explained it to me in private, but I still don't think it's funny... It's just funnier if he's a dumbass. Am I right Heatherface?